Home IPVanish What Is A Personal VPN Used For and Do You Need One? You may not realize it, but when you log on to any website, all of your activity is being tracked by a number of different parties. Email companies, search engines, websites, and even governmental agencies are all tracking what you are doing, where you are logging in from, and the path you are taking throughout the Internet. This is primarily possible because of your IP address, which is a physical representation of where you are located. With a personal VPN, you will no longer be easily tracked or marketed to as a VPN effectively hides your actual IP and serves up another instead. A personal VPN or virtual private network is a way of preventing others from seeing what you are doing online and remaining completely anonymous at all times. At one time, most of us believe that our actions online were in fact anonymous, but now we know that is no longer the case. If you are logging on from your home computer using a traditional Wi-Fi or wired network in your home, your IP address is telling the world where you are and what you are doing. 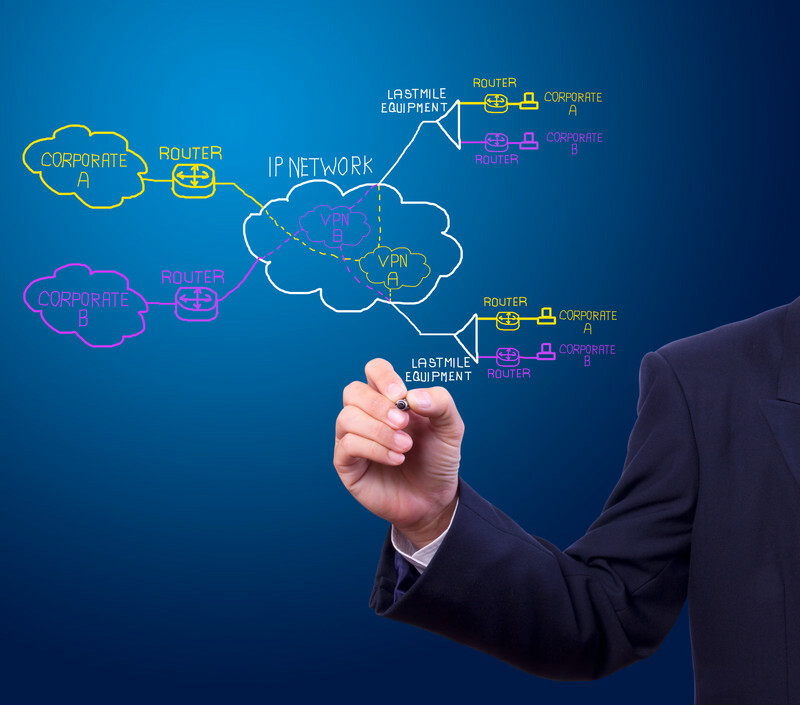 A virtual private network is able to mask that IP address, and essentially send your connection through various IP addresses located throughout the world. You can even choose the specific country that you want to be viewed as being located in, which can be important if you are working for an overseas company. You may think that this kind of cloaking is only necessary for business use, but more and more people are now choosing a personal VPN system for their own home for a variety of reasons. If you enjoy online gaming, a personal VPN can accelerate your connection speed, allowing you unlimited bandwidth that you would not otherwise get. The other advantage of this type of network is that it can help to shield you from cybercrime, personal identity theft, and hacking. Even if you have a firewall installed right now, this is a more significant way of protecting your data and your online activities from being viewed or compromised by others. What Are The Drawbacks Of A Personal VPN? In the past, the only drawbacks of utilizing a VPN service was that this kind of network could be somewhat difficult to set up. That is no longer the case, and now that there are companies that specialize in bringing this kind of technology to the consumer, it is easier than ever before newcomers to technology to set up their connection and ensure that all of their actions are fully cloaked. Depending on the company that you choose for your personal VPN, you may find varying levels of support. If you are new to using a VPN service, then it is certainly worthwhile to look into the customer support and service that you are being offered so that you will get the level of sport that you need. From the onset, having a little extra support that is available 24 hours a day can be very helpful. There are several different kinds of features that you will find in high-quality personal VPN systems, including the ability to choose the country of origin for your IP address, or have not fully randomized. This will help to protect your identity and eliminate any trail you may be leaving online, especially if you are using Wi-Fi hotspots or public Wi-Fi systems such as those found in hotels, airports, and coffee shops. Not all VPN systems provide unlimited bandwidth, so that is a feature you will certainly want to shop around for, and ideally they should provide support on numerous devices that you may own including your smart phone, camera, laptop, and any computer at home. Which Personal VPN Is Best? A lot of people who have been searching for a VPN service for their own home have chosen IPVanish service because it provides more than 7000 IP addresses on servers around the world. This company allows you to securely surf the web with no trace of your existing IP address, and also provides the fastest high-speed connections with no additional bandwidth charges. This is ideal for online gaming, video streaming, and more. What’s more, you get to access the service from multiple devices simultaneously without any additional fees. Where Can You Get More Information On IPVanish? When you go to their website, you will see that they offer a variety of packages, including a very affordable one month package at just $10 per month. In order to save more money, by signing up for three months you can save 25%, and all of these packages come with a seven day money back guarantee. They provide full voice over IP support, access to more than 100 servers in 44 countries, protection from Wi-Fi hotspots, and unlimited use of their VPN.